Gröner will be present at TV TecStyle Visions with two stands. The company will show the complete portfolio for textile finishing and applications for advertising techniques with many new system solutions such as the Brother GTX, the Epson SureColor SC-F9300 and the “Platinum” flat bed laminating tables. A high printing speed and good print results with a resolution of up to 1200 x 1200 dpi are the most striking qualities of this new textile printer from Brother. Gröner will show with a “Speed Demo” that this systems is suited for high volume production. It will demonstrate the entire production process from the pre-treatment over printing to fixing the prints. The textile printing experts will show visitors, what else the GTX offers besides the high quality and high speed. Hardware, inks, media and the software of the SureColor SC-F series of thermal sublimation printers are combined with speed, performance and productivity. 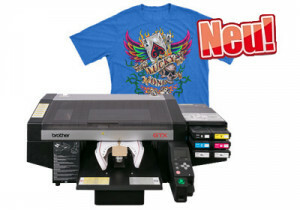 The series offers a completely new developed proprietary solution from Epson for companies to deliver innovation at its best – from printing sophisticating textile products, flexible textile signs and promotional articles up to athletic garments, fashion products and interior design applications. The SureColor SC-F series provides print widths up to 64 inches (162,5 cm), speeds of up to 108,6 m2/hour and the option for high density HDK Black Ink for special applications for fashion and garment printing. First time demonstrated in Europe: the new multifunctional table from CWT with many new functions and perfect ergonomics. It provides height adjustment as a standard, a perfect handling and flexibility for the most different applications. 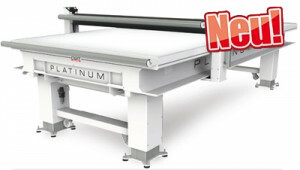 The CWT Platinum Flat-Bed Laminating table has a practical media holder, extra large storage place for large media and tools, efficient LED lighting, table surface made from tempered glass, self-healing cutting mat, 5 years warranty (3 years for table legs) und much more.